Please take a few moments to familiarize yourself with the risk factors for breast cancer, the most common malignancy in women after skin cancer. Although this disease predominantly affects women, men can also develop breast cancer. The American Cancer Society predicts that of the 246,660 American women who develop new cases of invasive breast cancer in 2016, 40,450 will die from it. The statistics for men occur at about one-hundredth that rate: 2,600 and 440, respectively. Read the companion piece, Uterine (Endometrial) Cancer Risk Factors. Note that this post is interactive—highlighted/underscored text, images, and media contain links to external resources for further education, empowerment, and encouragement. The stories, information, and resources on this site are intended to supplement—not replace—the advice of your clinical team. Aging: On average, women over 60 are more likely to be diagnosed with breast cancer. Only about 10–15 percent of breast cancers occur in women younger than 45. However, this may vary for different races or ethnicities. – Read about Angelina Jolie’s (double mastectomy) decision based on her BRCA1 test. Not having children: Women who have had no children, or who were pregnant later in life (over age 35), may have a greater chance of developing breast cancer. Breast-feeding may help to lower your breast cancer risks. Diethylstilbestrol (DES) exposure: Previous use of DES, a drug commonly given to pregnant women from 1940 to 1971 to prevent miscarriage, may slightly increase the risk of developing breast cancer. Women whose mothers took DES during pregnancy may also have a slightly higher risk of breast cancer. – Listen to a podcast by Cristina Nixon, M.S., L/CGC: Genetics, Genetic Testing, and Breast Cancer (you can also download the MP3 file and a full transcript): Part 1 / Part 2 / Part 3. Myth: There is nothing you can do to lower your risk of developing breast cancer. Fact: Underwire bras do not cause breast cancer. A 2014 scientific study looked at the link between wearing a bra and breast cancer. There was no real difference in risk between women who wore a bra and women who didn’t wear a bra. Fact: Mammograms don’t prevent breast cancer, but they can save lives by finding breast cancer as early as possible, when it’s most treatable. Myth: Antiperspirants cause breast cancer. Fact:There is no scientific evidence to support the claim that antiperspirants cause breast cancer, either because of toxin buildup or aluminum exposure. Overweight and obese women—defined as having a BMI (body mass index) over 25—have a higher risk of being diagnosed with breast cancer compared to women who maintain a healthy weight, especially after menopause. Being overweight also can increase the risk of the breast cancer coming back (recurrence) in women who have had the disease. This higher risk is because fat cells make estrogen; extra fat cells mean more estrogen in the body, and estrogen can make hormone-receptor-positive breast cancers develop and grow. Compared to women who don’t drink at all, women who have three alcoholic drinks per week have a 15% higher risk of breast cancer. Experts estimate that the risk of breast cancer goes up another 10% for each additional drink a woman regularly has each day. Research consistently shows that drinking alcohol can increase levels of estrogen and other hormones associated with hormone-receptor-positive breast cancer. Alcohol also may increase breast cancer risk by damaging DNA in cells. Smoking causes a number of diseases and is linked to a higher risk of breast cancer in younger, pre-menopausal women. Research also has shown that there may be link between very heavy second-hand smoke exposure and breast cancer risk in post-menopausal women. Excess estrogen is a prime suspect in women’s cancers, including mine. See Uterine (Endometrial) Cancer – My Story & More. For more on estrogen-related risk factors for cancer, see Uterine (Endometrial) Cancer Risk Factors – Ladies (& Gents), Please Read. In addition, Diane has dense breasts—they have more fibrous and glandular tissue than fat. This made it difficult to diagnose her invasive lobular breast cancer (ILC) and non-invasive lobular breast cancer in situ (LCIS), a process that took eight months from the day she first felt the lump in her right breast. This type of breast tumor is much less common than ductal breast cancer. For more on Diane’s journey with breast cancer, see Breast Cancer – Diane’s Story & More. Centers for Disease Control and Prevention (CDC) – What Are the Risk Factors for Breast Cancer? 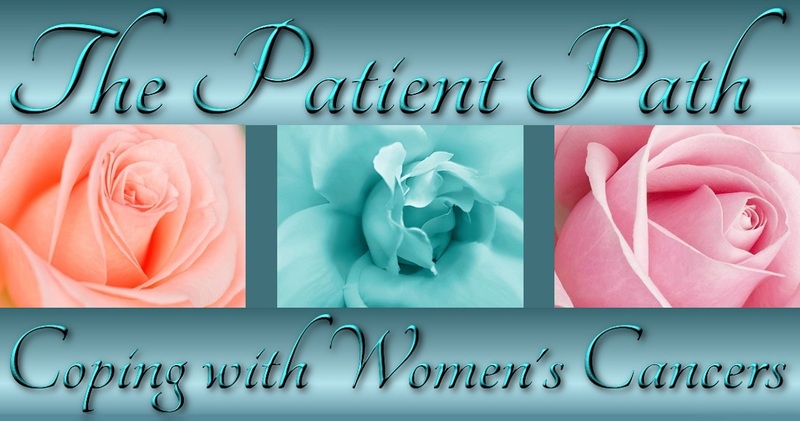 The links for these and dozens of other sites are being compiled in Resources for Coping with Breast Cancer based on the posts on The Patient Path. Watch for updates and future posts on preventing, detecting, and treating breast and other cancers, particularly those affecting women, on this site. Absolutely fascinating!!! This is so well done, and I have to send many, many thanks for being able to help all those that have benefited from your blogs. You are so informative and you write in such an interesting way that this cancer blog (and the others also) make for wonderful reading. I am sure they are appreciated by many others as well. Thanks again.